In a bizarre tug of war over a sweet ball of cheese, two neighboring states of India, West Bengal, and Odisha, have started a never-ending battle of claims. West Bengal won the battle in the end, but to know the exact ownership of Rosogolla, one should trace the raw ingredients of the sweet dish rather than seeking GI(Geographical Indication) tag. Moreover, these tags can be claimed only for a brief period of 10 years! Let’s try to study and find the exact origin of this mouthwatering sweet. The earliest evidence of cheese-making in the archaeological record dates back to 5,500 BCE, in what is now Kujawy, Poland, where strainers with milk fats molecules have been found. And the proposed dates for the origin of cheesemaking range from around 8000 BCE, when sheep were first domesticated. Since animal skins and inflated internal organs have, since ancient times, been used as storage vessels for a range of foodstuffs, it is probable that the process of cheese making was discovered accidentally by storing milk in a container made from the stomach of an animal, resulting in the milk being turned to curd and whey by the rennet from the stomach. There is a legend – with variations – about the discovery of cheese by an Arab trader who used this method of storing milk. With time, the line of evolution of cheese then included the addition of salt to the curdled milk for preservation which resulted in the modern day ‘cheese’. Cheese came to India as early as the times of the Indus Valley Civilization when milk was curdled with a variety of sour green leaves, barks, berries, and yogurt. The ancient Vedas refer to two types of cheese: with pores and without, very similar to ‘paneer'(as mentioned by Sanjeev Kapoor, Arthur Beriadelle Keith; Source: Wikipedia). The Aryans who invaded this North-West region then introduced a taboo on curdling cow’s milk due to the extreme reverence that is given to the animal (quoted by K. T. Achaya; Source: Wikipedia). As milk was at the top of the Ayurveda food hierarchy and was highly valued for its soothing, serene and nutritious qualities, so, ‘spoiling’ it by curdling remained prohibited for many centuries. After a long gap of several centuries, the Persian and Afghan rulers re-introduced cheese in form of paneer to north India in the 16th century. Made from goat or sheep rennet, these cheeses were the predecessors of modern paneer. This very fact can be proved from the etymology of the word ‘panir’ which comes from ‘peynir’, the general term for cheese in Persian and Turkish languages. This Mughlai paneer became popular in the rest of India only relatively recently and now appears in different regional guises. 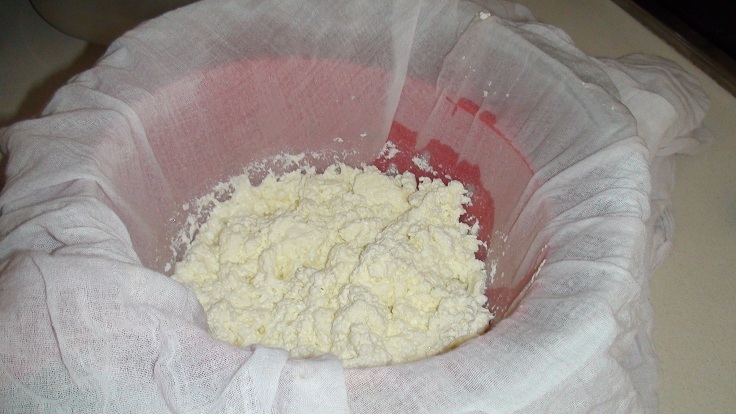 The most famous among them is ‘Chhana’ of eastern India, where the drained curds are separated from the whey without using pressure – an unsolid form of paneer. Muslim sweet-makers then started experimenting with this ‘Chhana’ and gradually breaking furthermore barriers, the highly acclaimed originator of Bengal’s favorite sweet, namely K. C. Das turned this ‘chhana’ into the famous Bengali sweet, ‘Rasagolla’. Rasagola is being offered in Puri Jagannath temple since 800 years. Old prayers and customs of Jagannath mention the sweet dish. Recipe and ingredients of Odisha’s Rasagola are different than Bengal’s Rosogolla and so they will apply for separate GI tags. India has tabooed cheese since the advent of Aryans. 800 years ago, the cheese was considered waste or bad omen. Mughals and Portuguese broke the Aryan taboo and brought cheese into being all over again. Jagannath temple follows similar beliefs like rest of India and cheese was a taboo in Odisha as well. Prayers, unless written down in manuscripts, are a loose form of evidence. Chaitanya brought a flood of Bengalis to Puri. Though Puri is one of the four dhaams and an important pilgrimage, the number of Bengali visitors and settlers increased post-Bhakti movement. The deep reverence and love of Bengalis brought Rosogolla to Mahaprabhu. Bengal and Odisha have been constant enemies for centuries. First, the Mughals and then the British prioritized Bengal over Odisha and brought developments due to the access to seaports. When British came to Odisha, a good lot of educated Bengali officials were employed in Odisha. These officials introduced and prioritized the Bengali language in education. Rebels like Fakir Mohon Senapati fought for recognition of Odiya language and culture and in due course, Odisha earned its individuality. There were several Odiya Bengali conflicts following this. Currently, Bengal is trying to claim Jayadeva and Odissi dance by incorporating their own theories and language. The individuality of Odisha is again in jeopardy. So, there is bigger and serious cultural crisis for Odisha than the sweet little ‘Rosogolla’.